Friedman Dental Group operates within three highly integrated treatment facilities in Florida, each of which is equipped with state-of-the-art technology for dental implants. Dr. Eli Friedman is a recognized leader in reconstructive, esthetics and implant dentistry and is one of the few prosthodontists who places and restores dental implants. 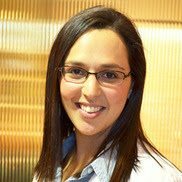 Dr. Katia Friedman offers personalized and attentive dental care, performing comprehensive general, restorative, cosmetic, and pediatric dentistry. At Friedman Dental Group we offer a unique unified, complete solution for dental implant treatments. We combine the latest and greatest technology with profound dentistry experience, all under one roof for an integrated treatment system that gives the maximum customer satisfaction. When teeth are missing, and you require a dental solution, you don’t want to have to worry about the time and money that need to be spent. At Friedman Dental Group we offer the most convenient and cost effective procedure possible, all under one roof at one of our state-of-the-art treatment facilities in South Florida. A prosthodontist (dental implant dentist) is a specialist in the field of aesthetic restoration and replacement of teeth, with the intention of improving your smile and bite, enhancing your quality of life where it comes to your teeth and jaw. There are many reasons why you want to see a prosthodontist, but before we take a look at these.